Bar None has enjoyed a reputation for providing great entertainment throughout the Southeast for almost 20 years! They are a sure crowd pleaser with an extensive repertoire. 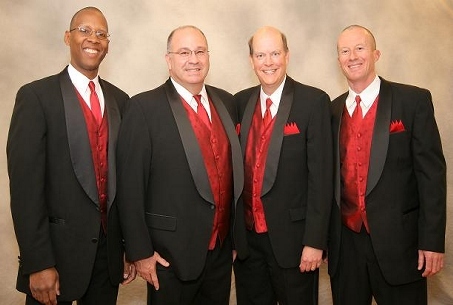 The quartet members can boast of a combined total of almost 100 years of a cappella Barbershop quartet, chorus and musical experience. They are consistent medalists in regional competitions. Bar None specializes in 20 to 40 minute show packages with song selection tailored to the specific audience or event. 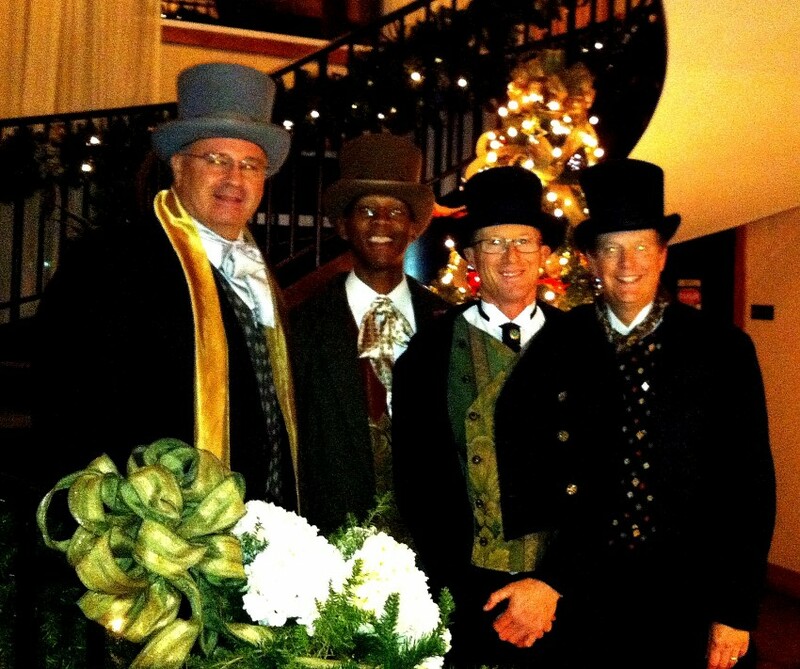 We also often provide background music for corporate events, shopping centers, country club parties,. etc. Bar None actually sings all over the two Carolinas. Our members, Jeffrey Meekins, Wally Miles, Ted Leinbach and Steve Shoaf hail from Charlotte, Mooresville and Winston-Salem, NC. As a barbershop quartet, our set-up needs are pretty much non-existent and we can tailor our performance to almost any occasion or length of time. As a quartet, our technical needs are pretty much non-existent. Depending on the venue, we often do not need a sound system but one is helpful for speaking. If one is deemed necessary, it is the responsibility of the client to provide it. Our current repertoire is as follows with specific songs chosen to fit the client's needs or requests. 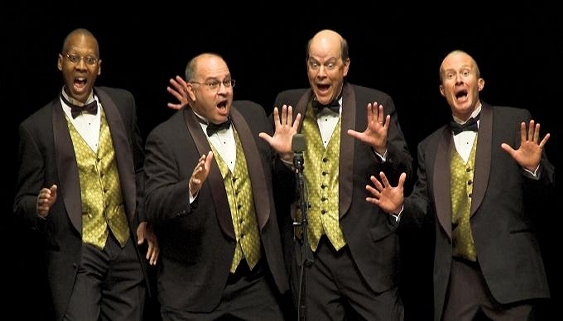 We obviously are impacted by many other fine quartets within the Barbershop Harmony Society, but we tend to sing songs that are of a more contemporary nature.